It may be hard to imagine in the midst of this awful, sweltering summer, but it will be autumn soon. As the season changes, we can look forward to the return of all sorts of annual traditions: pumpkin-flavored drinks, Halloween, crisp days walking next to russet-leaved trees, and, most revered and ancient of all things fall, another season of Stranger Things. 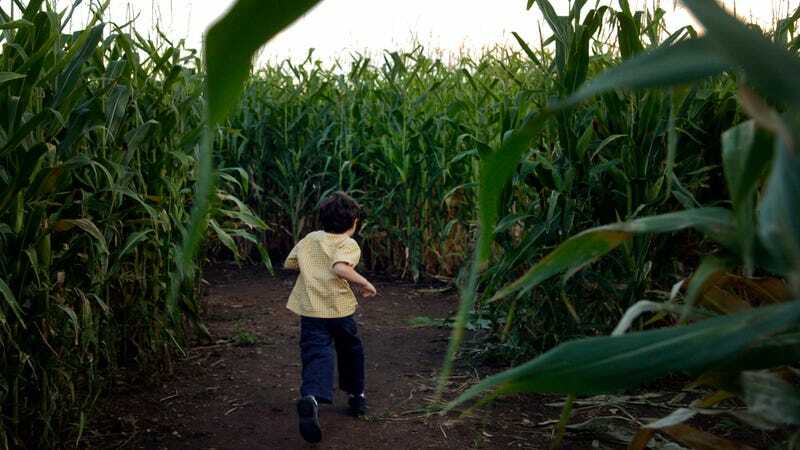 In celebration of at least two of these things, Indiana’s Exploration Acres has created a gigantic Stranger Things-themed corn maze for your brand-friendly enjoyment. It’s huge, eerily neat in construction, and contains your favorite characters from the show rendered, at long last, entirely in corn. In the past, Exploration Acres has created similarly grandiose corn mazes with themes ranging from “early ‘60s stuff” to “America” and, a personal favorite, “farm iconography.” The Stranger Things design is by far the most specific and, according to a story by Mashable, has not been cleared with Netflix, who should nonetheless appreciate the assistance in this viral ... or biological ... marketing for the series’ third season. After all, as hard as Stranger Things’ creators work to make a show so capable of devouring entire evenings of your life, TV episodes pale in comparison to this maze. Now, you can experience the incredible sensation of getting lost within the pathways making up Millie Bobby Brown’s hair, a monster’s thumb, or, most frightening of all, the dead-end “F” of a giant Netflix logo.